The Park is one kite that does it all for any rider, any style, in any condition. Designed with fun in mind, the Park provides an easy ride, the power to boost and the handling to hit the lip with style. The powerful profile gives the rider outstanding low-end power and consistent pull over a wide range of wind speeds. Reduced diameter struts were also implemented for increased low-end power, improved aerodynamics and reduced weight. The Swept Compact C outline and three-strut design create a stable and responsive kite. The Park uses just enough sweep to maximize depower and allow for easy relaunch. The new Static Bridle Platform improves forward flying, acceleration out of turns, stability, instant response and direct bar feel. These characteristics are essential for wave/unhooked riding. NEW Static Bridle Platform Eliminates the pulley and keeps the kite stable and driving forward. 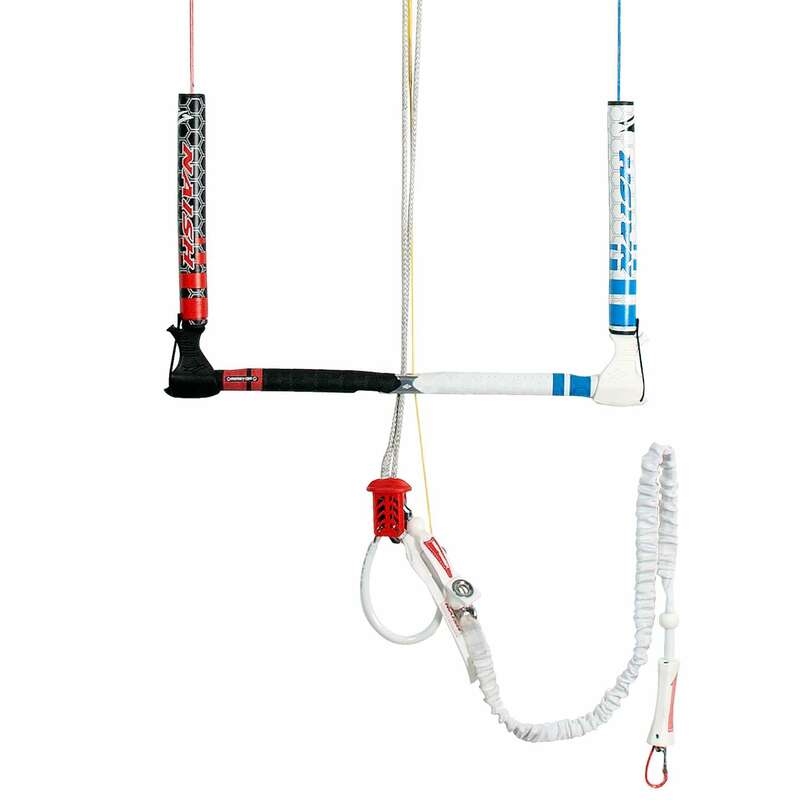 Compact C The Compact C-shape blends the pop and lift of a C-kite with the power, control and turning of a swept leading edge kite. In addition, it provides ideal re-launch capabilities. Power Foil Canopy The Power Foil Canopy has horizontal seam shaping. The result is a kite that creates instant lift. Evolutive Profile The profile’s depth and shape evolves along the airfoil. The center sections generate power and speed. The tips are fast turning and minimize drag. 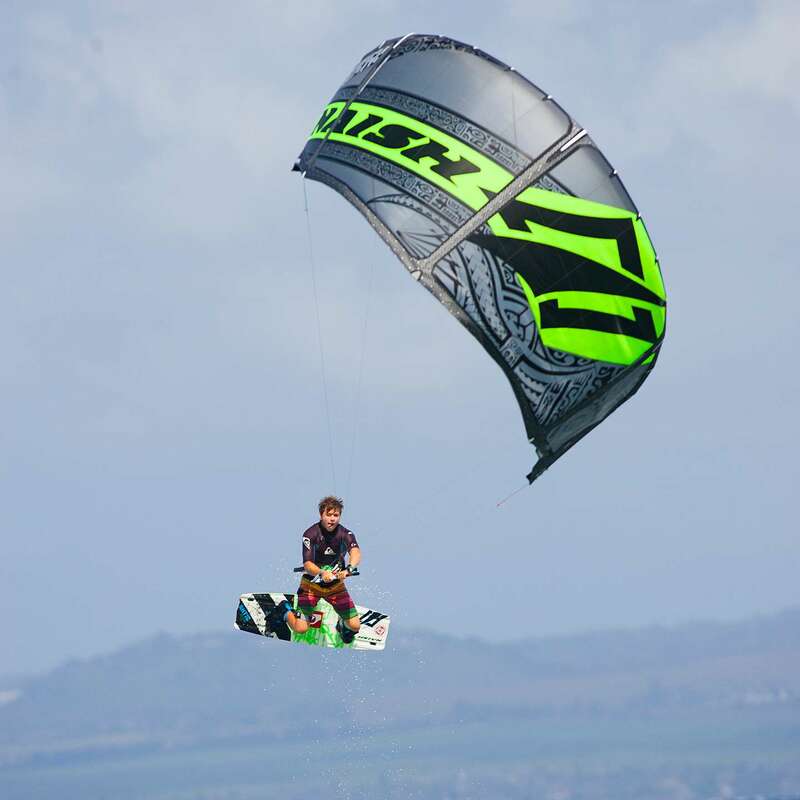 This creates a fast flying, stable kite with less back stalling. Radial Segmented Arc The Radial Segmented shape uses short linear segments to accurately form the kite’s arc. Low Drag Wing Tip This wing tip geometry reduces the overall surface area of the non-lifting portion, which greatly reduces drag. The more efficient the lift/drag ratio becomes, the faster the wing tip can move through the air. 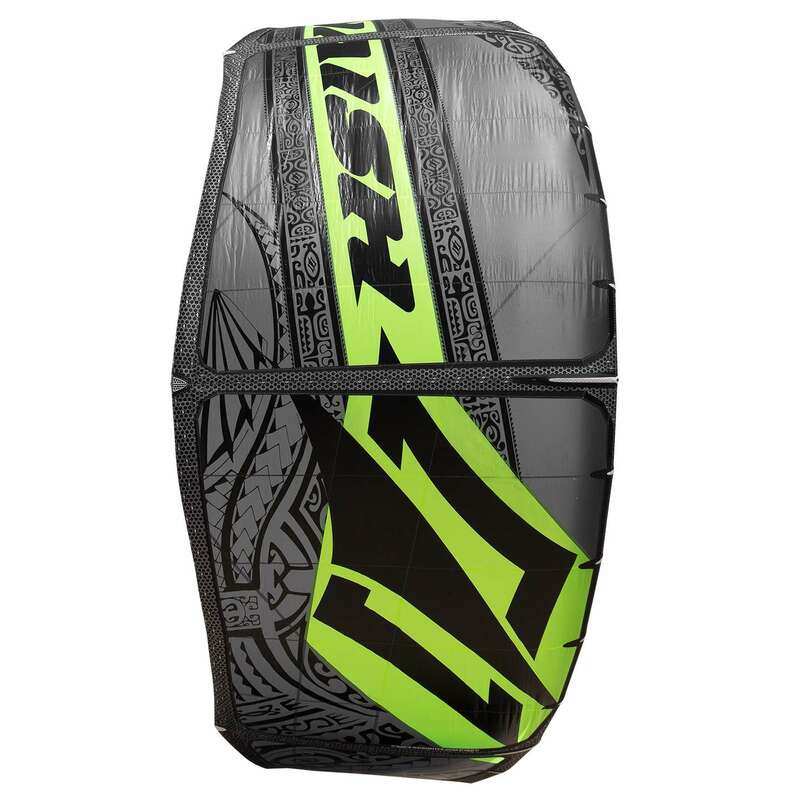 This allows the kite to be both quicker and more responsive through turns. Octopus Inflation System This proven, quick and easy single-point inflation system creates uniform pressure in the struts and leading edge. 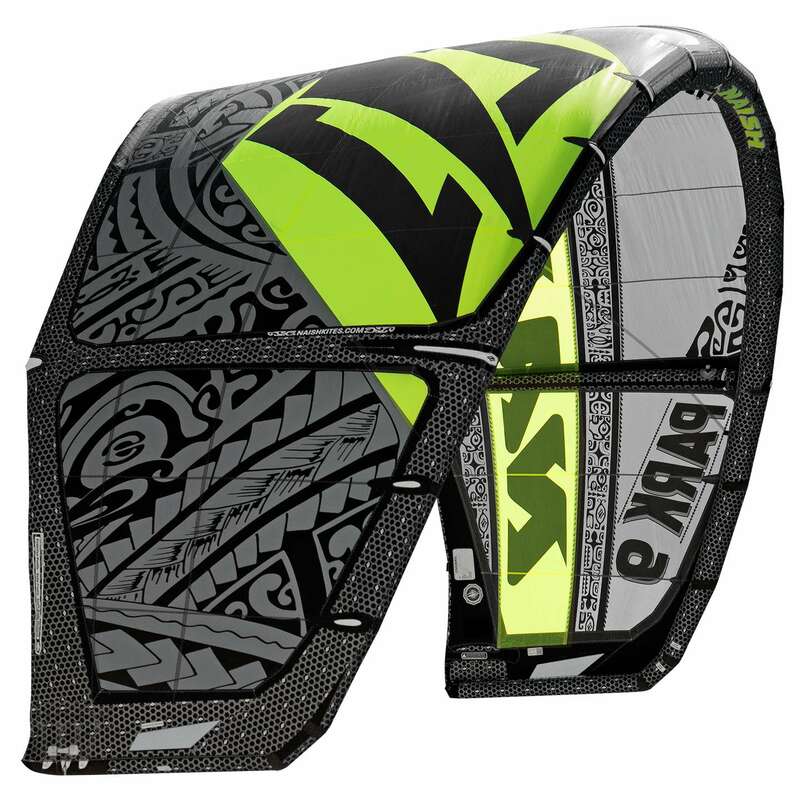 The Naish exclusive one-way internal valve ensures that the pressure in the struts does not change during turns. Solid Frame Construction Every strut is attached to a frame of heavy duty Dacron that is then sewn onto the canopy for unmatched resistance to wear and heavy loads. Radial Load Distribution All wing tips are designed with seams running parallel to the load generated by the flying lines. These seams carry most of the load, and spread it higher into the canopy. This construction avoids fatigue on the fabric and in the wing tip area. Anti-stiction Window The wing tip features a flow-through window, which reduces static friction and allows for easy relaunch by letting water drain instantly. The Universal Control System features a reduced diameter bar with a new Memory Core for a comfortable, ergonomic grip. The new V2 Bar Center has been re-designed, providing smoother line entry to reduce wear and tear.The Vario Bar End Adjustment allows the rider to change the bar length from 18″ to 20″ (45 to 51 cm) to fine tune steering. The Low-V swivel with an integrated pulley connects the front flying lines at the lowest configuration possible to keep lines straight and provide a front line flagging leash.